Vegetable soups are an excellent source of nutrition. 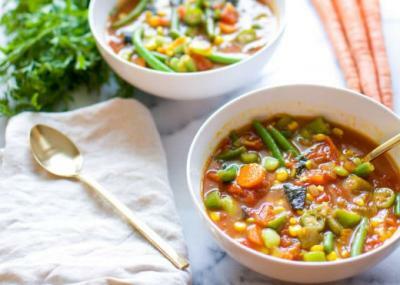 Combining vegetables increases your intake of different nutrients.The healthiest soups include fresh, low-fat ingredients and a minimum of salt and extra fat. Because soup contains so much water it fills you up with fewer calories. For this challenge, try combining 2-3 vegetables, a lean protein, and broth into a soup. Once completed, take a photo of your veggie-filled soup and post it on the Today's Challenge wall!